An unexpected lesson in coaching psychology… from the long grass! Those who know me won’t associate me with golf. I took it up over a decade ago, but it didn’t last long due to the arrival of family and all that that entails! Anyhow, last summer as my own kids took an interest in golf I came across an opportunity for golf lessons that I couldn’t pass up. It entailed 7 lessons in a driving range with 9 other ladies as well as 3 on a golf course with a buddy. About 10 days ago I was due to have my first experience on a golf course in 10 years. I have to admit it was a bit daunting, so you can imagine that I was a little relieved when it was called off due to rain. So last Sunday morning, I was again secretly hoping for the same phone-call but on this occasion it went ahead. It turned out that my ‘buddy’ was the pro in the golf club and none of my playing partners turned up! As one of my girls would say, this could be ‘a little bit good and a little bit bad’! I tee’d off at the first hole and the ball cleared a stream (an obstacle I had been unaware of beforehand!) and landed in long grass. I didn’t disgrace myself on Sunday, but I did get quite familiar with navigating long grass and this is where I gained some insights into coaching psychology. Maybe it’s better not to know all the obstacles: I take quite a diagnostic approach to coaching leveraging adaptive leadership frameworks and approaches. I love to get stuck in to make sure a problem is really understood before taking action. So what was interesting for me on Sunday after taking this first shot is the fact that if the pro had pointed out the stream, I would probably have become apprehensive of it, and may have come up short or landed in it. One thing is for sure, I would probably have tried too hard and I would not have taken my best shot. So maybe knowing the in’s and out’s of a situation is not always helpful. I find approaching an issue with a ‘beginners mind’ invaluable, but it is key to balance the need to understand an issue with the risk of over-thinking it. 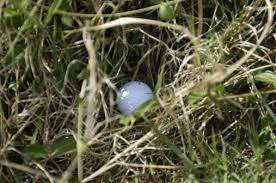 Picturing success not failure: As the ball lay in the long grass, the golf pro said ‘now don’t scoop it up Eadine’. So what did I do?… I scooped it up and it landed back into the long grass. So the pro said ‘now this time Eadine, make sure you don’t scoop it up!’…. and once again I scooped it up with a marginally more successful outcome. The pro asked me what happened. So I told him the story of the pink elephant. 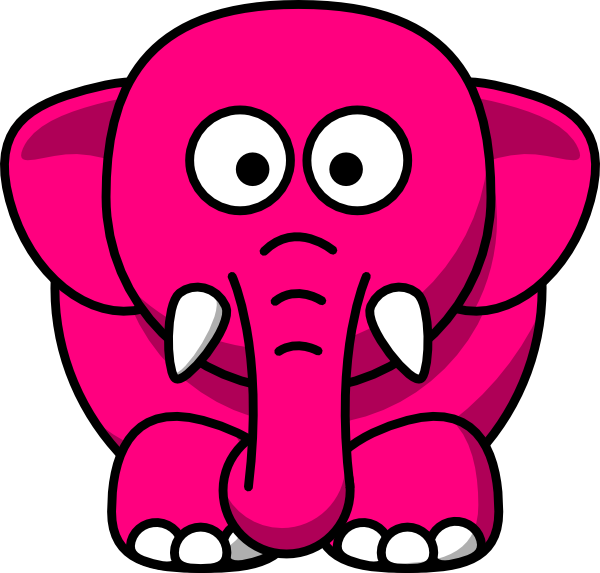 Imagine I asked you not to think of a pink elephant…. what do you do? Of course, you visualise a great big pink elephant. The more vivid the description of the elephant the clearer the picture. So I asked him what success looked like and he painted this for me in graphic detail along with an image of the great big divot that should appear in the grass afterwards. A lovely shot followed…. and this could not have been taught in the driving range. Nothing can beat real live experience: All the lessons in the world in the driving range were no substitute for getting out there. As mentioned in a recent article in Forbes magazine ‘Can leadership be taught?‘, 70% of learning comes from ‘on-the’job’. The author describes the ideal blend of 70:20:10 between ‘on-the-job’, coaching/ mentoring and classroom sessions. Much of my work involves supporting and challenging clients as they take on ‘stretch assignments’ in the workplace. Even in the classroom sessions that I and my colleagues facilitate, we ask participants to bring in real live challenges to work in the classroom to apply concepts being learnt. I learnt more from my 1 hour on the golf course (with a patient pro) than in the 7 (albeit necessary) lessons in the driving range.